Is it possible for my dog to get sick around other dogs? If your dog is healthy, well-adjusted, has a good immune system and eats high quality dog food, then the risk is quite low. But yes, your dog can be exposed to disease when playing with other dogs. We do require advance vaccination, from licensed veterinarians, to ensure a healthy population of dogs who come to Happy Pets Palace. We have high sanitation standards. Our modern sanitation equipment includes the Aqua Air Wet/Dry Vac system. In addition we have quality air scrubbers, and clean living conditions which are vitally important to ensuring the absence of disease. Our air flow system, required vaccinations, solid wall villa construction, and staff training programs all help to create a healthy, safe and secure environment for your dogs when they are in our care. Our indoor facility is cleaned and sanitized every day. 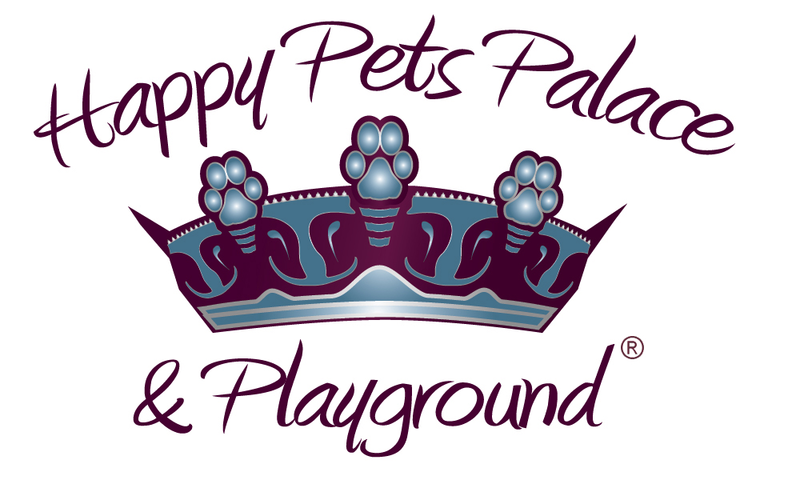 Our outside playgrounds where dogs do their potty business is cleaned twice daily. Dogs with separation anxiety, already weakened immune systems, or dogs who do not eat healthy dog food have a higher risk and are more susceptible to getting sick. Please request extra rest when boarding if you feel your dog’s immune system would benefit from extra rest and nap time.